Olympus PT-10 housing alongside the new PT-12 housing. Looking over the new Olympus PT-EP12 housing for the new PEN E-PL7 camera one is immediately struck by how much smaller it is and with a new shorter port it’s a lot more sleeker than all it’s predecessors. Although it’s also shorter, lighter and thinner; the PT-EP12’s polycarbonate shell is still depth-rated to 147 feet (45 meters). The new housing design feels more like the compact PT-056 for the Olympus TG-3, than the older PT-EP10 for the PEN E-PL5. New are a larger, angled shutter release, easier-to-reach zoom and mode dials, and slanted function buttons - all very ergonomic to use and easier to hold. There’s a few other improvements like a larger rubber view-screen shade. Loading is still drop in and it accommodates the Olympus flash for triggering an optical sync external strobe like their new UFL-3 - a slightly revised Sea & Sea YS-01 with improved software for Olympus cameras to use RC two-way communications mode, and allows for on camera adjustments and much higher sync speeds..The internal flash and it’s housing window is too small to be used for anything else. 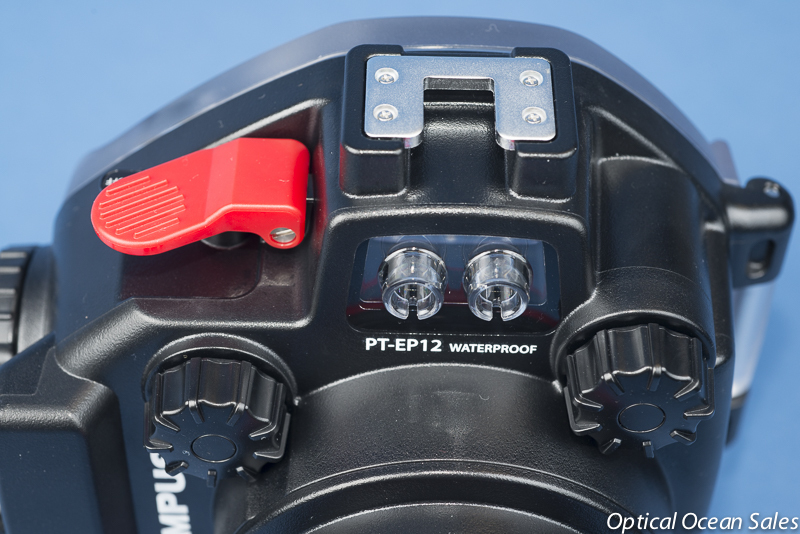 Features like two fiber optic sync cord plugs, cold shoe mount and a backed front and clear back are continued, as is its three-hole mounting plate. With its smaller size some smaller trays will probably fit it; so the entire rig becomes less bulky. This new M.Zuiko Digital 14-42mm f3.5-5.6 MKIII EZ lens has a 3X electronic zoom capability that will be great for video, just like a camcorder you can now smoothly zoom in and out on your subject. The new lens uses their best ED glass, so it is a much sharper and higher quality lens than the kit 14-42mm MKII. The port on the EP-PT12 housing is now 67mm threaded and will work well with wet macro lenses, as there's not nearly the amount of dead air between it and the end of the port - so it will magnify the subject a little more. It’s also much, much smaller than the older port. The new MKIII EZ lens also focuses a little closer than the older MKII. 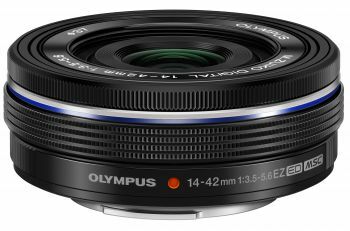 But I would plan buying a couple of Zen ports to complete the system to use the Olympus 60mm macro and the 9-18mm w/a lenses. Using wet wide angle lenses with these SLRs is not recommended; you simply get too much chromatic aberration and distortion, along with very poor corners in your shots. The smaller port is now compatible with the prime, fast mz ED 12mm f2.0, mz 17mm f1.8, mz 25mm f1.8, and mz 45mm f1.8. 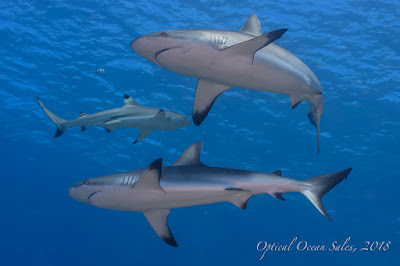 The 12mm and 17mm are good choices for available light underwater photography and video. But as it is flat port, and 1/3 of the field of view is lost; the 25mm and 45mm become too long and are not well-suited underwater. The bad news also is that not only is the new port NOT compatible with the mz 14-42mm MK II kit lens that is bundled with the E-PL7, nor is it with the 60mm macro or mz 9-18 lenses - unlike all the other older PEN housings. This was always a nice feature for users; buy one housing and it would work with the same zoom gear and port that you got with the housing with other lenses. Currently there is no bundle with the E-PL7 and the newer MK III PZ lens, so the cost to buy both is higher - $599 for the E-PL7 body only and $249 (list is $349 but it’s on sale for $100 off, when you buy a PEN or OMD body). So now $850 for the camera and lens as opposed to the $700 price bundled with the kit lens. However, there's isn't a zoom gear available because of the power zoom feature, so that saves $45. My advice? Buy the E-PL7 with the 9-18 W/A or 60 macro lens and skip the 14-42 MKIII lens. I know that users may not quite get what Olympus was thinking, but the old port was pretty clunky in design and the new housing is much better suited to the small E-PL5 camera. 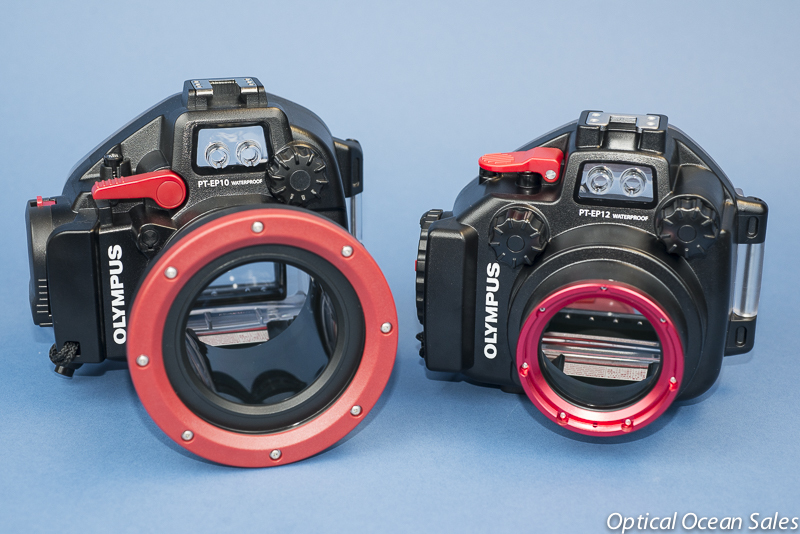 The problem is that Olympus still views the ports on the EP-series, including the new PT-EP12 as non-interchangeable, even though it is obviously an easy change; remove the keeper screw, twist the bayonet mount port half and turn and pull out. Zen has made replacement ports for some time now and their PEN series also fit this housing; but they are relatively expensive at around $500 each for the WA-100-EP dome and 45mm flat port (FP-100-EP)+ 25mm extension (ER-EP-25) for the 60mm macro, which sort of defeats the idea of a less expensive mirrorless setup than the OM-D EM1. However, all-in-all its a nice improvement and hopefully some less expensive port options will be coming along.